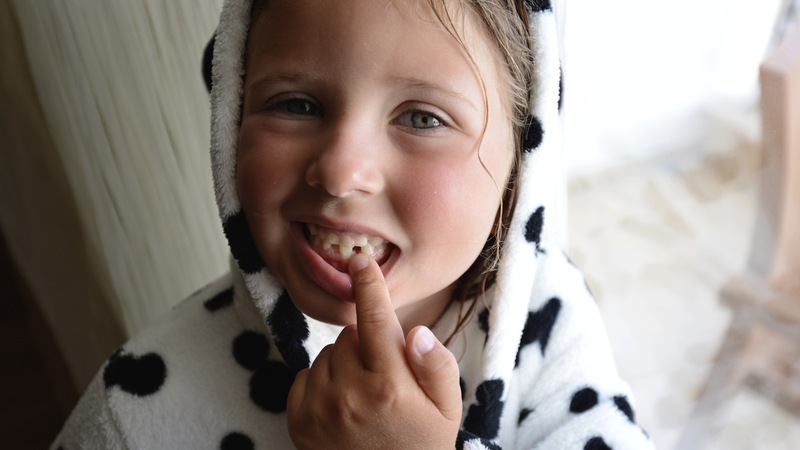 Have parents lost their minds when it comes to the tooth fairy? Back in my day, when I lost a tooth, I put it under my pillow and it was replaced with a shiny gold coin while I slept. No frills, no fuss, and it was absolutely fine. Certainly, there were no trails of glitter from the windowsill to my bed. No letters in swirly writing telling me what a big grown-up girl I was for losing a tooth. My tooth fairy was the no-nonsense sort — she did what was expected of her and I was cool with that. My tooth fairy certainly never played the bad guy, which seems to be a pretty common approach of present-day tooth fairies. A letter from the tooth fairy posted online caused some heated debate a few months back, and it’s circulating again after it was shared on the Love What Matters Facebook page. Courtesy of blogger Non-Stop Mom, it basically passes the parenting buck to the tooth fairy, letting her give the kid hell for having a messy room. It’s a tough stance that’s divided opinion. Some parents have found it funny, while others criticized the mom for attaching conditions to her daughter’s deal with the tooth fairy. Each to their own, and as tempting as it is to leave my son a note from the tooth fairy politely asking that he clear some of his LEGOs from his floor so said tooth fairy doesn’t scream in pain as she tries to stealthily make her way across the room to his bed, this isn’t an approach I’ll be taking. Let kids have a bit of magic in their lives, and reprimand them for their messy bedrooms yourself. Those who really want to ramp-up the tooth fairy shock tactics might be interested in a new monster doll called My Best Tooth Fairy Friend, who has wings and a creepy smile and comes with a book, which parents are encouraged to read to their kids every single day until the wobbly tooth finally falls out. And that’s not all. On the special night, the fairy leaves pre-printed rhyming note cards and stickers in place of the tooth. I see why many parents buy into these gimmicks for their kids, and I’m sure the kids love them. But what’s wrong with keeping it simple? Take the tooth, leave a shiny coin and look forward to the next one wobbling. And don’t turn the tooth fairy into the bad guy. It’s just not a good fit.